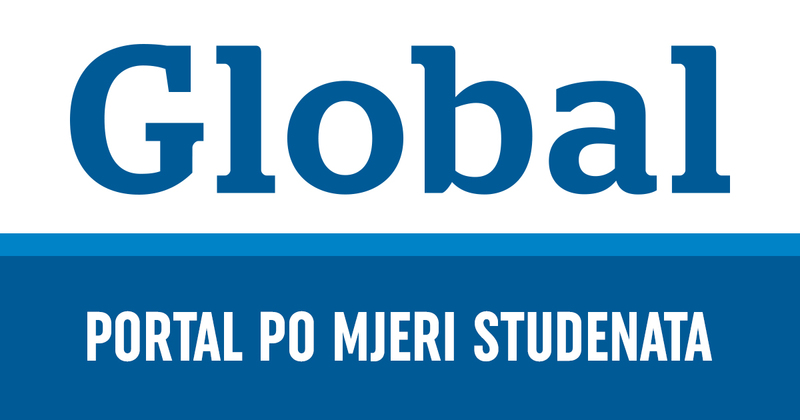 Dragi studenti, u tijeku je natječaj za upis kolegija Comparative Media Systems (3.5 ECTS), koji će se održati na Inter University Centre, Dubrovnik od 15-20 travnja 2019. Zainteresirani studenti trebaju se javiti mailom profesorici Peruško zrinjka.perusko@gmail.com. Za pokriće troškova puta i boravka studenti se mogu natjecati na fakultetski fond za sudjelovanje na međunarodnim znanstvenim konferencijama – provjeriti web fakulteta za informacije. In October/December 2018 a 100 year anniversary of the first Yugoslavia passed with hardly any examination of its impact in its successor countries. In this research conference and graduate spring school we wish to examine the legacy of Yugoslavia in the present day media systems in the countries of the region. How can we explain their divergent media systems trajectories in the countries which spent 70-ish years in a shared state? Why is it that the freedom of expression, independence and autonomy of the media in the countries in the region exhibit consistently lower scores then in the countries of Central Europe, almost 30 years after the beginning of post-communist democratic transition? How do these post-communist media systems compare to media systems in western democracies, and can commonalities be found in sufficient degree so that they might be included in the same typology? Or, are these media systems so marked by their communist antecedents that they merit the special type of “post-communist media system”? If we wished to explore the influence of socialism/communism, the likelihood of a single model of media system is most likely in southeastern Europe as these countries, having been part of one common state, would be expected to have had the most similar socialist experience. The differences in the historical and political development of the constituent states prior to the common Yugoslavian experience, and the political developments after the dissolution of the socialist Yugoslavia in 1990s, however, speak more to the contrary. The course & research conference will explore the influences from a historical institutionalist perspective (Peruško 2016). Present day media systems in Slovenia, Croatia, Bosnia and Herzegovina, Serbia, Montenegro and Macedonia will be analyzed with this comparative longitudinal optics. A special focus will be put on the socialist experience with the media in Yugoslavia, the differences or similarities of media agendas and strategies within different republics. The examples and cases of dissent in the media and popular culture will also be examined. The course will examine comparative examples from other European regions that at one time in the past 100 years were at the periphery of Europe, especially the Mediterranean countries. The course includes a one day hands-on methodological workshop on the design and implementation of fuzzy set QCA and the accompanying statistical analysis. Confirmed keynotes include Paolo Mancini, University of Perugia, Zrinjka Peruško, University of Zagreb, Antonija Čuvalo, University of Zagreb, Dina Vozab, University of Zagreb, Snježana Milivojević, University of Belgrade, Slavko Splichal, University of Ljubljana, Tarik Jusić, Analitika Sarajevo, Snezana Trpevska, Institute of Communication Studies, Skopje, Kaarle Nordestreng, University of Tampere (tbc). Other key note speakers will be announced shortly. This eight "slow science" IUC-CMS is an interdisciplinary research conference & post-graduate course open to academics, doctoral and post-doctoral students in media, communication and related fields engaged with the issue of media and media systems, that wish to discuss their current work with established and emerging scholars and get relevant feedback. Invited research conference participants will deliver keynote lectures with ample discussion opportunities. In this unique academic format, student course attendees will have extended opportunity to present and discuss their current own work with the course directors and other lecturers and participants in seminar form (English language) and in further informal meetings around the beautiful old-town of Dubrovnik (UNESCO World Heritage) over 5 full working days (Monday to Saturday). Participation in the course for graduate (master and doctoral) students brings 3,5 ECTS credits, and for doctoral students who present their thesis research 6 ECTS. The course is accredited and the ECTS are awarded by the Faculty of Political Science, University of Zagreb (www.fpzg.unizg.hr). All participants will also receive a certificate of attendance from the IUC. The IUC requires a small enrolment fee from student participants. Participants are responsible for organizing their own lodging and travel. Affordable housing is available for IUC participants. Stipends are available from IUC for eligible participants, further information at https://www.iuc.hr/iuc-support.php. For information on these matters please contact the IUC secretariat at iuc@iuc.hr. The Inter-University Centre was founded in Dubrovnik in 1972 as an independent, autonomous academic institution with the aim of promoting international co-operation between academic institutions throughout the world. Courses are held in all scientific disciplines around the year, with participation of member and affiliated universities. For further information about academic matters please contact the organizing course director: professor Zrinjka Peruško zrinjka.perusko@gmail.com, Centre for Media and Communication Research (www.cim.fpzg.unizg.hr), Department of Media and Communication, Faculty of Political Science (www.fpzg.unizg.hr), University of Zagreb (www.unizg.hr).